Our featured tangle this week is the sparkly x-did by Annette Carlo, with all the diamond shapes I though a good mix would be to add the tangles facets and footlights. Very good tangle choices. Love the hint of color also. Lovely tile. I like the use of Footlites and Facets, creative. You have chosen the tangles next to X-Did very well indeed and brown is beautiful in this combination. Very nice use of x-did. I might be referring back to this for border ideas. Love your tile, Shelly. Such a lovely precise design with lots of eye appeal. Wonderful piece. 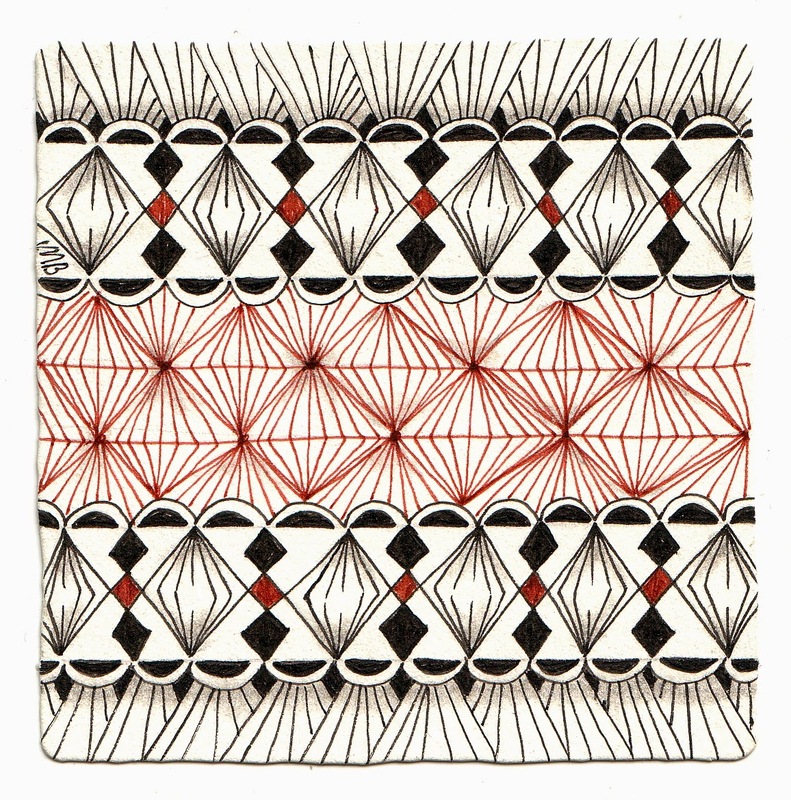 Lovely tile, nice combination of patterns! You picked some great tangles to combine with X-did. They work well together. Nice choice of patterns. They do go well together. The touch of colour is also great. Nice colors and tangles. It looks like a flying carpet! Oh that's beautiful Michele. 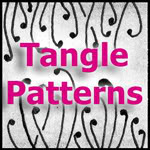 Great combination of tangles! Wonderful tile! 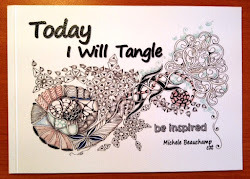 Great choice of tangles and I like the touch of colour! Gorgeously drawn! Your line work is so precise and beautiful! Your version of X-Did is lovely! Definitely an inspiration! So pretty, and also so neat. Love just the touch of color. Love your tile. Beautiful choice of tangles, and everything is so precise.